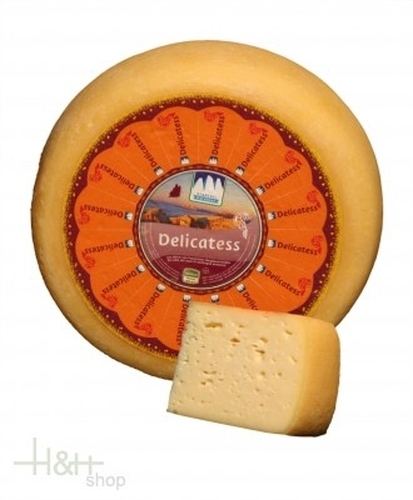 Delicatess cheese Alpine Dairy Three Peaks approx. 500 gr. Calorie-conscious consumers who enjoy lighter fare will find 15% less fat in Mila Yoghurt Butter - butter mixed with yoghurt that combines rich taste with all the best properties of a spread. Pfiffikus Cheese DEGUST approx. 300 gr. 13,15 EUR / 43,83 €/kg. Herb cheese Kräuterhexe Mila whole loaf approx. 2,4 kg. 54,55 EUR / 22,73 €/kg. only 48,20 EUR / 14,18 €/kg.